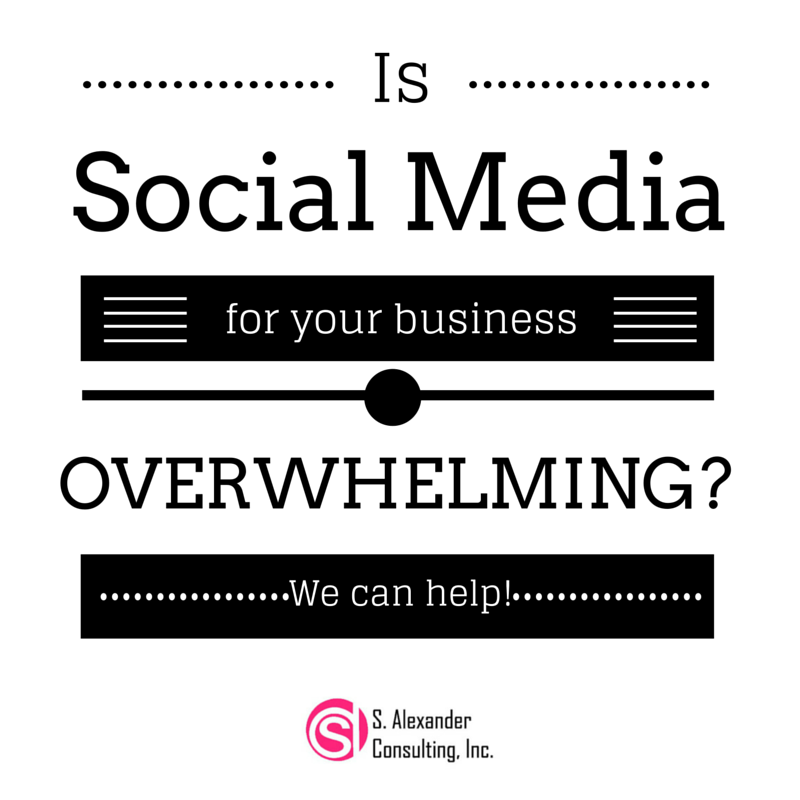 Blog – S. Alexander Consulting, Inc.
Is your business overwhelmed by social media? No matter how you look at it, social media is here to stay. One of the most common things I hear from my clients is that they are completely overwhelmed by social media. Many small business owners either do not know where to start, where to concentrate their efforts or they are completely bogged down by the idea alone.There are so many social media platforms and the speed, quality and quantity of content being produced and consumed is staggering. It’s not surprising that so many small business owners get overwhelmed. Listen to what customers are saying. As a boutique agency, we take pride in our work and strive to fully satisfy all of our clients’ PR and marketing needs. This includes creating fresh, creative content for social media for all types of businesses and industries. We will create a strategic plan to find your audience, capture new leads and convert them to customers for you. You can view our portfolio of social media clients here.